Engaged in trading of automobile parts, automobile components, automobile equipment., automotive gears, automotive transmission gears, automotive engine gears, automotive bevel gears, automotive ground gears. Also offering combine harvester, brake axle. 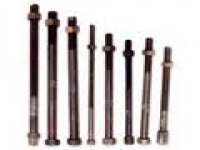 : Engaged in trading of automobile parts, automobile components, automobile equipment., automotive gears, automotive transmission gears, automotive engine gears, automotive bevel gears, automotive ground gears. Also offering combine harvester, brake axle.